4.23.29 Thank you for delivering our mulch! Another group from LifeSong has begun! 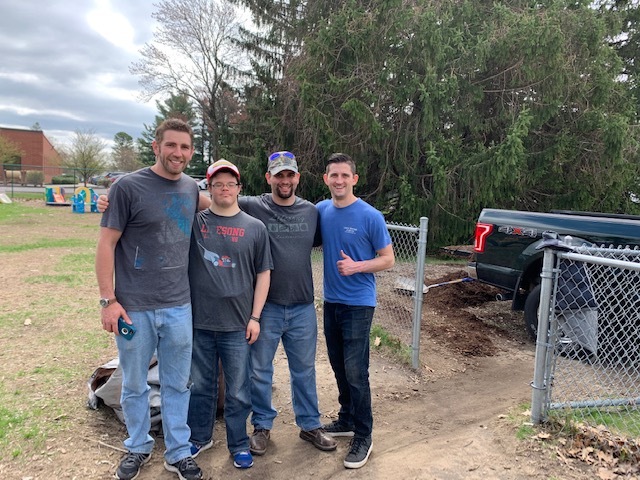 We were fortunate to have mulch donated from Schenectady County Recycle Center again this year and to have the Mulch Crew from LifeSong be able to pick it up for us and deliver it. Yesterday, this group made three trips back and forth to bring 3 yards of mulch! That should last our playground through the summer. We are so grateful and excited! As if that wasn’t enough, the crew will be working here on our mulch and yards through the spring and summer, helping us to maintain the playground and gardens. This is a huge help to us, since we don’t have anyone employed in this regard and have long relied on pitching in from staff and volunteers. Thank you, LifeSong! 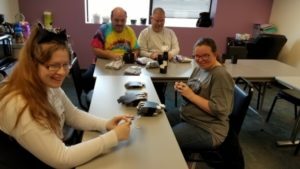 You are helping Crossroads greatly! 4.11.19 Thank you LifeSong Volunteers! Your help here is a life saver! 3/29/19: We appreciate our wonderful LifeSong volunteers! Today’s work included delivering supplies to classrooms and helping to put together all of the favors for the Gala! Thank you so much. We appreciate all of you! 3/7/19: We appreciate our wonderful Organizers from LifeSong! Today this group of excellent hard-workers tidied up our art and office supplies storage room! It looks awesome! Thank you all so very much for all you do for Crossroads! 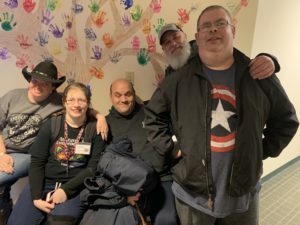 2/21/19: Thank you LifeSong Volunteers! 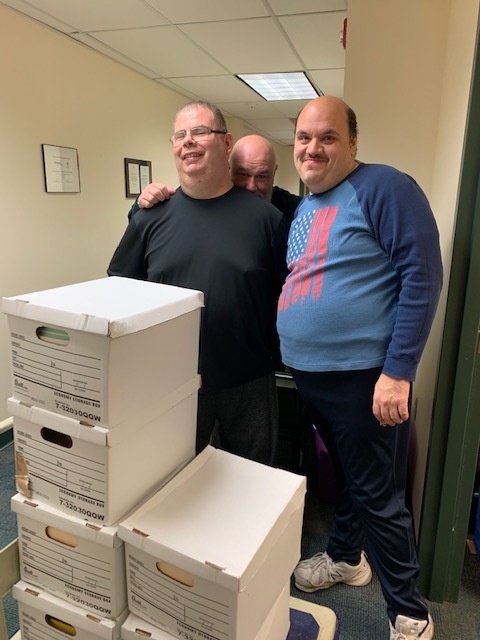 Today’s group moved MANY heavy boxes of old records to a new storage space! They also helped us with our Gala mailing for parents! They are very hard-working individuals, and lots of fun to be around. Thank you for all of your great help! 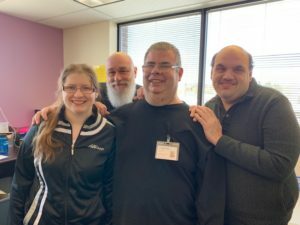 1/31/19: Thank you LifeSong Volunteer Organizers! Today the group tackled our Library, getting things, sorted, coded and put away. What an amazing job they are doing here! And such warm and sweet personalities to have around! 1/24/19: We are happy to welcome some new faces to Crossroads Center for Children’s volunteer program. 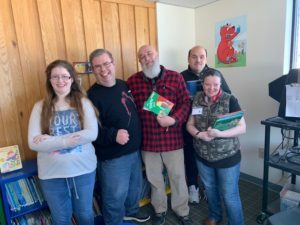 LifeSong has recently begun a volunteer placement at Crossroads. LifeSong is a wonderful organization and we are thrilled to have these folks here to help us with organizing some of our spaces. Here are just two of the gentlemen who are coming here each week; they are part of a larger group that is overseen by a Job Coach from LifeSong. This picture shows them in the Laundry Room, after completing an overhaul of the room. This room also serves us for storage, and now we can actually find things! They’ve been moving, cleaning, organizing and labeling and it looks amazing! LifeSong, we are so happy to have you here. 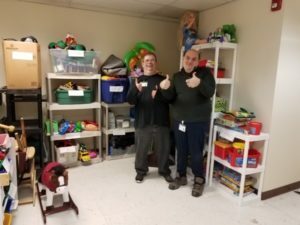 Thank you for your kindness, inspiration, and organization help! Strengthening focus through classroom activitiesThanks so MULCH!